Home / Adventure / Ciwidey / Nature / South Bandung / TUBING AT GAMBUNG AGROTOURISM ! TUBING AT GAMBUNG AGROTOURISM ! Kebun Gambung established since the Dutch era located in Ciwidey, Bandung regency, West Java. Located at the foot of Mount Tilu, present Center for Tea and Quinine Research (PPTK) Gambung. The tea research center in this place is the largest in Southeast Asia. PPTK Gambung flew since January 10, 1973. The research institute is now managed by PT Perketunan Perkebunan Nusantara. PPTK conducts research and development of world class tea and quinine plantation technology. Kebun Gambung has a land area of ​​about 600 hectares, the majority of Gambung tea plantation series and the rest of the natural forest. Gambung belongs to the producer of Gambung tea assassin and sinensis series. During this time the best typical tea leaves Gambung processed into green tea, black, and white, served with a variety of top quality products. The results of Gambung tea products consist of several variants of taste and packaging. Among other packaging cans, packs and dyes. 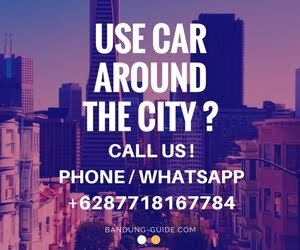 Kebon Gambung can be reached by vehicle for 1.5 hours or within 30 kilometers from Bandung City (via Toll Gate gate or Leuwipanjang Terminal), crossing Soreang and Ciwidey area. Arrive in the cool air Gambung area ambushed. Eyes pampered with beautiful scenery in the highlands. The function of this place is not just for research purposes only. Gambung plantation is open to the general public for agro-tourism activities. Managers complete facilities such as laboratories, libraries, and experimental gardens. Tubing is a water sport that is almost similar to rafting, the difference tool used is "inner tube" type of large vehicles while rafting using inflatable boats that can be filled up to six people but for tubing should only be used by one person. Agro Tourism Tubing is located in Rancacangkuang River Tea Research Center and Kina Gambung. Puslit Teh and Kina serve the plantation community and the general public in doing recreational activities and nature tourism to obtain physical and mental refreshment. Nature tourism in tea gardens is a major form of activity that can be offered in the agro-tourism package, in addition to tea processing plants and sports facilities. This tour activity can be carried out individually or combined with the activities of official meetings. - See the process of making black tea and green tea. - Relaxing walks, beautiful scenery, and enjoy the fresh air tea gardens. - Relaxing cycling - mountain bike. - Camping in camping ground or field. - Rest and soothe batindengan how to stay in the natural atmosphere of tea garden. - Playing tennis, volleyball and soccer.